ARGOMULYO, Indonesia: At least 49 people were killed and scores injured Friday when Indonesia’s Mount Merapi volcano erupted again, incinerating villages as far as 18 kilometres (11 miles) away, officials said. The latest deaths bring the total toll to more than 90 since the country’s most active volcano started erupting on October 26. Ash, deadly heat clouds and molten debris gushed from the mouth of the 2,914-metre (9,616-foot) mountain and shot high into the sky for most of the night and into the morning. The ranks of evacuees swelled past 100,000 people, with 30,000 moved into a sports stadium about 25 kilometres away from the peak. “The emergency shelters are now overcrowded,” emergency response field coordinator Widi Sutikno said. The international airport at Yogyakarta was closed as ash clouds billowed to the altitude of cruising jetliners and the runway was covered in gray soot, officials said. The exclusion zone was widened from 15 to 20 kilometres around the mountain and everyone living in the area was ordered to evacuate their homes and shelters immediately, he said. 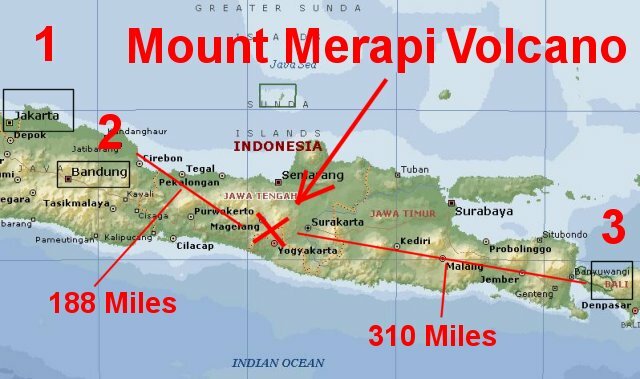 Indonesia’s transport ministry has told pilots to stay at least 12 kilometres away from the rumbling volcano and several flights linking central Java to Singapore and Malaysia have been cancelled this week. 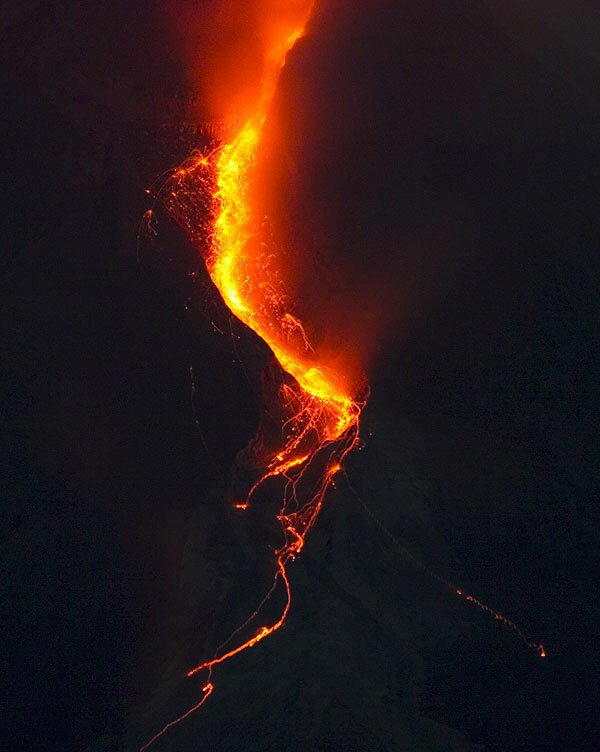 Government volcanologist Surono said Friday’s blasts were the largest yet. This entry was posted on November 5, 2010 at 10:10 am and is filed under Environment, Geosciences, Indonesia, Natural Disasters. You can follow any responses to this entry through the RSS 2.0 feed. Both comments and pings are currently closed.